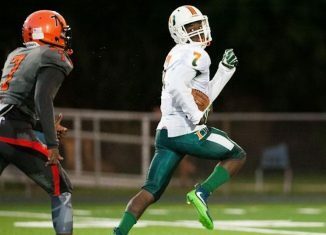 The Vols landed a commitment from a talented athlete out of Florida when Shocky Jacques-louis pledged his commitment to the Vols on Monday night. 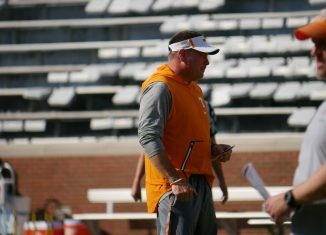 Miss anything Butch Jones and some of the Vol players had to say after practice this morning? We have the full videos here. 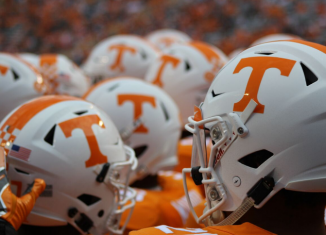 The Vols begin the 2017 season ranked inside the top 25 of the AP Poll for the third consecutive season. 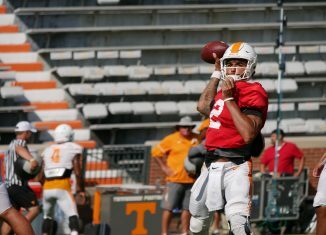 Check out our video highlights from the Vols' fall camp practice in Neyland Stadium on Monday morning. 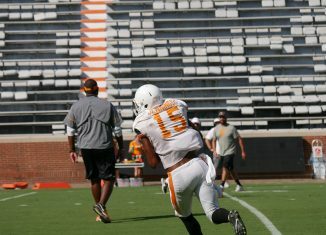 Check out all our great photos from the Vols fall camp practice inside Neyland Stadium on Monday morning. 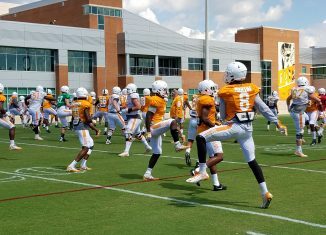 Notes and observations from the Vols' fall camp practice in Neyland Stadium on August 21st. Who's starting to separate themselves in position battles, and who is falling behind? 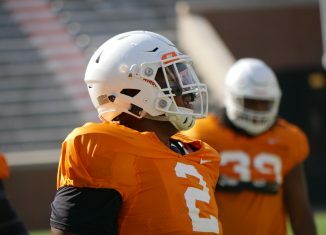 We take a look in our Week 3 stock report from the Vols' fall camp.